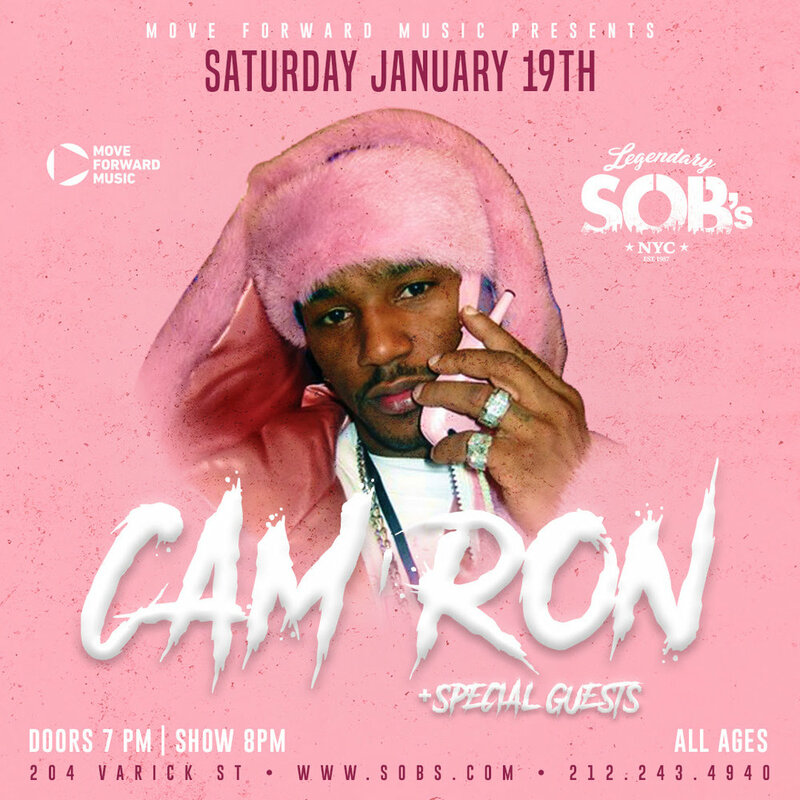 Fly Event: Cam'Ron: Up Close & Personal at SOB's - Tickets on Sale Today! I don’t know about this. Sometimes our fave OG rappers are just too washed to perform. Whenever I see Juelz on Love & Hip Hop New York, I look at him and think, “you didn’t age well and those dentures aren’t helping your cause.” What happened to that cutie in Cam’Ron’s “Hey Ma” video? Living a crazy life at 18 catches up to you fast. To be fair, time has been a tad kinder to Cam. I’m curious to see him concert. Set to perform next month at SOB’ for a rare intimate experience and journey through a classic catalog. I do believe Cam'ron lIve in NYC is something every human should experience at least once.